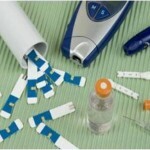 DiabetesHealth – If You’re on Medicare, Pay Attention to This Change! This is a big month for people with diabetes who are enrolled in Medicare. The giant government healthcare program for seniors is changing its method for providing blood glucose testing supplies.